Blurb: Drawn into the schemes of an angry wizard, Carin glimpses the place she once called home. It lies upon a shore that seems unreachable. To learn where she belongs and how to get there, the teenage traveler must decipher the words of an alien book, follow the clues in a bewitched poem, conjure a dragon from a pool of magic -- and tread carefully around a seductive but volatile, emotionally scarred sorcerer who can't seem to decide whether to love her or kill her. —Not until the figure broke its stillness. Stiffly, it leaned to place a lamp upon the table by the door. And as the light fell upon it from this new angle, the face emerged from the gloom to become recognizably Verek’s. Shadows! Carin told herself fiercely, gulping for her next lungful of air as if the warlock’s movements had triggered a reflex. You’re jumping at shadows. The lamp Verek had held had illuminated his face from directly under his chin, rendering his features grotesque. It was a trick of the light such as children played on Mydrismas Eve to frighten each other with spooky faces. Carin leaned against the window and kept quiet. With her breath still convulsing her throat, she couldn’t trust herself to speak without a quaver—and any tremble in her voice would betray a fear she didn’t want him to see. He laid a thick volume down, next to the lamp. “This is a book of woods’ lore.” He rested his finger on it. “I charge you to study it well, for your life may depend on a mastery of its contents … You will study the book until you know it better than you know your own mind. Wordlessly then, he picked up the lamp and strode to face her at the window. Carin recoiled from him, feeling the glass at her back like a sheet of ice against her shirt. The cold crawled up her spine. Her huge supper of half an hour ago lay in her stomach like a lumpfish swallowed whole. To avoid the warlock’s eyes, Carin focused her gaze over his left shoulder. As she stared into the comforting glow of the open bathing-room door, she thought only of holding down her dinner. Verek shifted the lamp from his right hand to his left and raised the light to Carin’s face. Blinded, she could see nothing of his next movements, and started violently when his fingers touched her chin. “Turn the bruise to the light,” he ordered, pressing against her jaw. Carin squeezed her eyes shut and submitted to his examination, though her every fiber screamed a protest. When his fingers moved from her chin to touch her hair and lift it aside, she couldn’t help flinching away from him, her breath a piercing whistle through clenched teeth. “Hmm. If you had permitted the ocher to mar your beauty for a few hours longer, the bruise would now be gone, and the lump with it. Then he was gone, the bedroom door closing solidly behind him. Copyright © 2011–2012 by Deborah J. Lightfoot. All Rights Reserved. 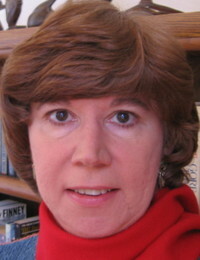 About the author: Castles in the cornfield provided the setting for Deborah J. Lightfoot’s earliest flights of fancy. On her father’s farm in West Texas, she grew up reading extraordinary tales of adventure and reenacting them behind tall ramparts of sun-drenched corn. She left the farm to earn a bachelor of science degree in journalism and write award-winning books of history and biography, including The LH7 Ranch (University of North Texas Press) and Trail Fever (William Morrow, New York). High on her Bucket List was the desire to try her hand at the genre she most admired. 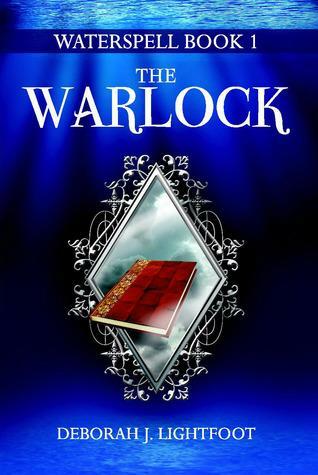 The result is WATERSPELL, a complex, intricately detailed fantasy that begins with Book 1: The Warlock and Book 2: The Wysard, and concludes (for the present) with Book 3: The Wisewoman. But a legal pad filled with notes and tucked away in a desk drawer suggests a possible Book 4 before the saga may fairly be said to be finished. Deborah is a professional member of The Authors Guild. She and her husband live in the country south of Fort Worth, Texas. Find her online at www.waterspell.net. The author is giving away one ebook copy of The Warlock to one of our readers. Please enter the Rafflecopter form below. It looks like a great read! Thanks for the giveaway! Looks like a great book to me !! I would love to win a copy too !! Thanks Meg, Caitlin, and Laurie for hosting this quick stop on my book tour, and thanks to Linda, Janita, Felecia, and DeeAnn for your comments. Good luck in the giveaway! Thanks for the introduction. I'm looking forward to more of this.